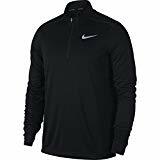 Layer up in the NIKE Men’s Pacer Half-Zip Top. Soft, stretchy breathable fabric brings comfort to the most challenging of routes, while reflective elements give your route a boost of confidence. Women’s Nike Pro Classic Padded Sports Bra offers medium support for a variety of training activities. It’s lightly padded for enhanced coverage and shaping so you can tackle your workout with confidence. 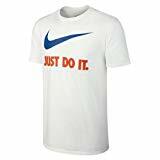 NIKE Sportswear Men’s “Just Do It” Swoosh Tee doesn’t mix messages. It gets straight to the heart of the matter with a time-honored tagline and a graphic that needs no further introduction. 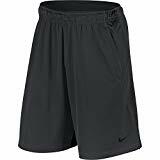 NIKE Men’s Basketball Shorts are made with textured fabric featuring sweat-wicking technology and offers a secure, lightweight fit that optimizes mobility. 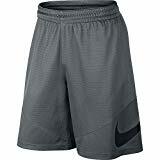 NIKE Sportswear Men’s Open Hem Club Pants set you up with plush comfort without the bulk. Crafted with soft fleece fabric, they feature an updated, slim waistband and an open-hem design for a laid-back look.